The autumn/winter fashion season is in full swing with many revolutionary and chic designs that are creeping in to our wardrobes. We’re currently experimenting with the 90’s working girl as we see a range of designers such as Victoria Beckham, Calvin Klein and Stella McCartney all putting their own bespoke touch to ensure we’re all rocking the blazer. Although summer maybe over, the trends are still hot and fiery with red being autumns go-to colour. Givenchy even created an entire collection dedicated to the colour! However, to our disappointment, summer is over and it is time to move on. The spectacular silver sparkles are back in town….. and they’re dazzling. 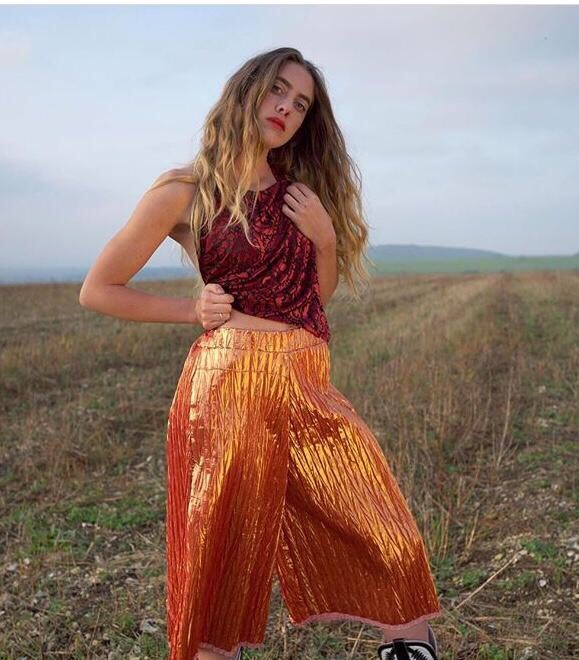 Designer and Creator of Winifred Rose; Rosie Toms has just the thing to spark your Christmas festivities up. Having studied in London and then designing for high street giant H&M, each piece is a result of Rosie’s lengthy experience in fashion her image and identity. Her innovative design specialises in hand embellished delicacy’s use luxury fabrics. I had the pleasure of working with this Bristol based designer on a shoot for her latest collection. Rosie really wanted a natural/windswept look for the beautiful model Jess, this complimented the look of the clothes perfectly. Jess has great hair to work with , I started by drying Aveda Shampure dry shampoo and conditioner into the hair just to freshen it up. This great product also helped to create volume, I added Volumizing Tonic to creat root volume. This is a great technique if you haven’t time to start from scratch or time to wash the hair! Perfect for giving texture and thickening the hair, I could talk forever about texture tonic haha , it truly is my favourite product!